Center Stage, the State Theater of Maryland, in conjunction with SPAIN arts & culture, presents a free reading of Fuga Mundi, a new play by Spanish playwright Mar Gómez Glez, in a new English-language translation. 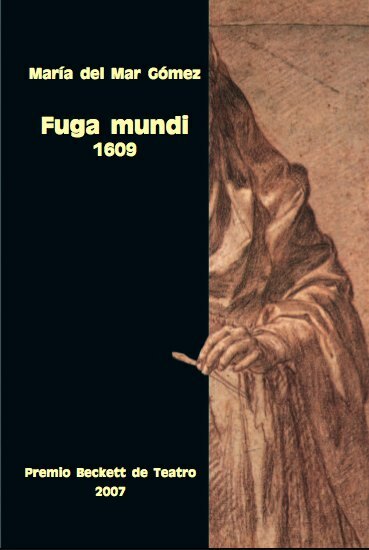 Set in 17th-century Spain, Fuga Mundi explores the complicated lives of women living in an increasingly intolerant state. Audacious sculptor Juana stands at the center of a controversy surrounding her latest work: a statue of the Virgin based on a young Moorish girl. Ordered to redo her masterpiece before the incoming Inquisition comes knocking, she finds herself in the custody of a former love interest turned Mother Superior. This play and its all-female cast explore the politics of gender, sexuality, and race in a society that demands conformity—or else. The play was developed under the auspices of an International Hot Desk playwright residency at Center Stag, with the support of SPAIN arts & culture, and will be read in a new translation by Professor Jeanie Murphy (Goucher College). The collaboration between playwright Mar Gómez Glez, dramaturg Catherine María Rodríguez, and director Jacob Janssen is an outgrowth of SPAIN arts & culture’s 2013 New Plays from Spain readings. Mar Gómez Glez is a Spanish playwright and novelist living and working in the United States. Her work has received global recognition, including the 2011 Calderón de la Barca Theater Award, the 2008 Arte Joven Latina Award, and the 2007 Beckett Theater Award. She is the author of the novels La Edad Ganada (2015) and Cambio de sentido (2010), the children’s book Acebedario (2006), and numerous other plays and short stories. Her plays have been performed in Spain and the US, including Off-Broadway, (Wearing Lorca’s Bowtie, The Duke Theater, 2011), and Off-off-Broadway (39 Defaults, TeatroStageFest, Casa Mezcal, LaMama Experimental Theater Club, 2012-2014). She holds a Ph.D. with honors from New York University. Under the leadership of playwright, actor, and director Kwame Kwei-Armah OBE (Artistic Director) and national arts leader Stephen Richard (Managing Director), Center Stage is an artistically driven institution committed to engaging, entertaining, and enriching audiences of today and tomorrow through joyous and bold performance. The professional, nonprofit theater company is dedicated to the creation and presentation of a dynamic and diverse array of new and classic work, and each year hosts an audience of more than 100,000 in its historic home in Baltimore. With its signature focus on civic and community engagement, The State Theater of Maryland enters its second 50 years with a commitment to exploring how art and entertainment communicate in the 21st Century, and to igniting conversation in Baltimore and beyond. Begun in 2013, Center Stage’s Hot Desk program provides participating playwrights with short or long-term residencies that offer dedicated time and space for their writing, access and insight into the production process of a professional resident theater, and dramaturgical and developmental support. SPAIN arts & culture features the most cutting-edge works of internationally renowned Spanish artists in fields such as design, urban culture, architecture, visual arts, film, performing arts, literature, and music. A series of exhibitions, conferences, showcases, and performances take place every year at the most prestigious American cultural institutions bringing a taste of all the creativity, history, and talent of Spanish artists to the American public. Doors open at 6:30 pm. Reading starts at 7 pm. The reading will be presented in English, with a Spanish text available.